Ok, this vegan nut swill has half the calories as the stuff that comes out of a cow's udders so it's great for weight loss and there's also zero cholesterol. Pulverized almonds blended with water and strained now accounts for 4% of all milk sales. But did you hear about leche de almendra’s vaunted club cleaning abilities? We put the urban-legend to the ultimate test. 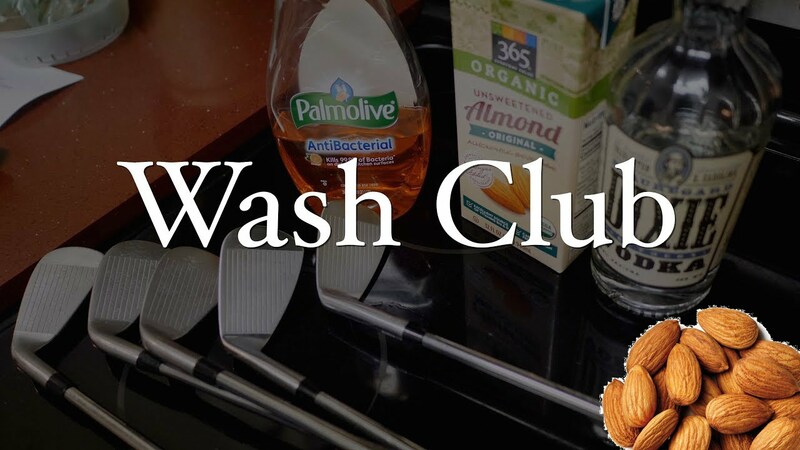 Pitted against Palmolive & water, water (as a control test), and vodka (just for kicks and giggles) does almond milk come out on top of the leaderboard? Watch the below video and witness the astounding results. 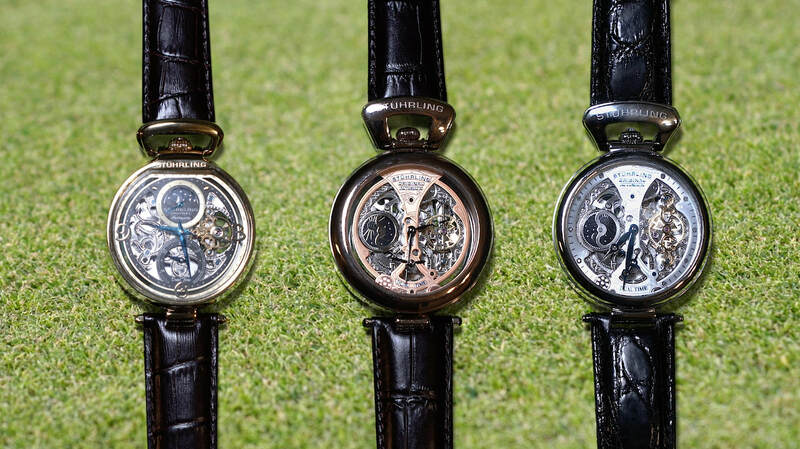 Ever seen a watch in a store and though it’s cool…but it would be much cooler if the dial had a more modern vibe and the case was a shade different. 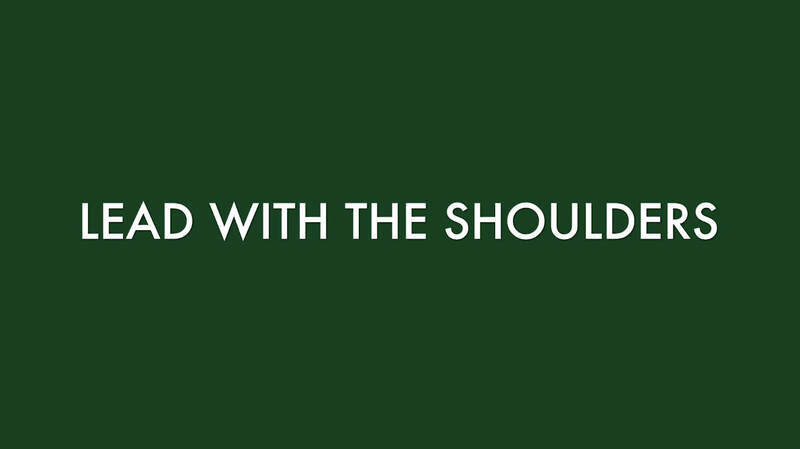 And while we’re at it, could the bezel have been olive green rather than navy? Get customizing. 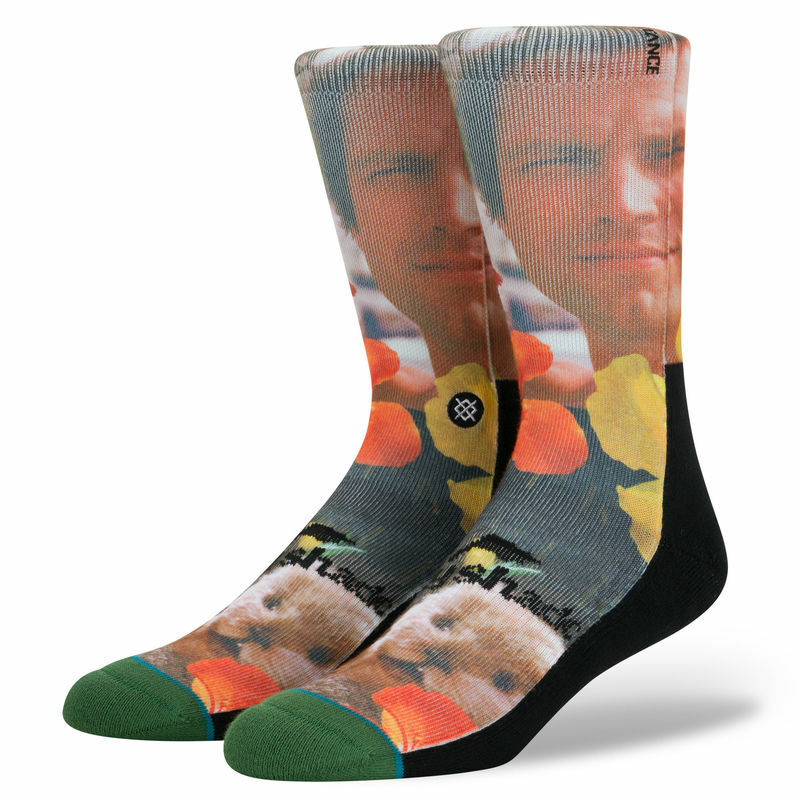 Just discovered Stance, their NBA Future Legends sock line, including a Curry and a Harden made quite the splash. 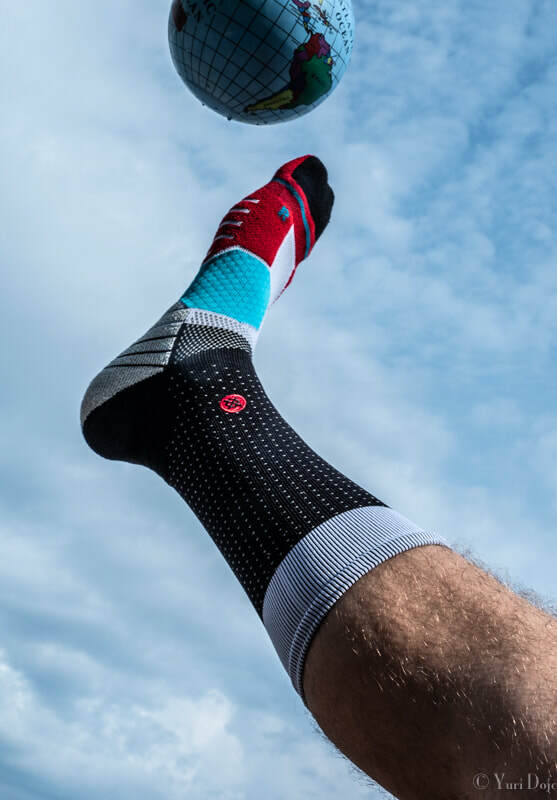 For socks that really pop on the fairway, take a gander at their Bubba and Jack looks and the below pictured Caddyshack themed socks. 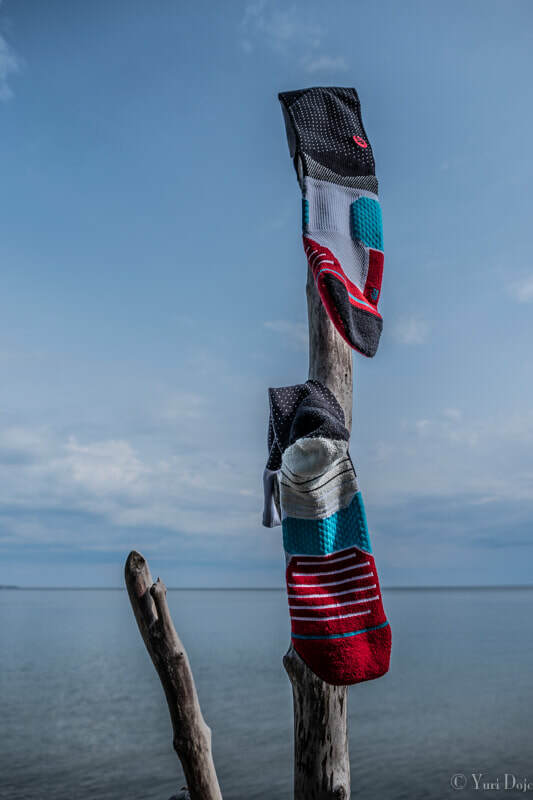 Been wearing Stance all week long now and beyond the fashion statement they're really very comfy and well made. Like Bubba Watson likes to say, you need to live your best life on and off the course. Dude’s right, sometimes you need to play without your clubs. A perfect day in North Carolina kicked off at the Foothills Regional Airport, 8 miles northeast of downtown Morganton. This is the launch pad of Thermal Valley Aerosports , a family-run outfitter offering thrilling aero-towed tandem hang gliding experience where you’ll feel like Superman to rank newbies like the Slinging Birdies crew. Flights start at $159 for 1500 feet on up to $385 for a mile high glide. So what’s it like to get pulled behind a Dragonfly, an ultra light and ultra maneuverable Australian bush plane? Well it’s a lot like waterskiing in the sky and then when they cut the tow cord when you reach the assigned altitude that’s when this human kite flight gets dialed up to the next level as you catch the thermals and float down to terraferma while pulling off every aerobatic maneuver in the book if you’re so inclined! See if you can catch the Dragonfly pilot pull off a few gnarly moves after cutting us loose. Next we feasted at JD’s Smokehouse is a Burke County BBQ institution, drawing commuting diners as far as adjacent states for their fall of the bone ribs, pulled pork, brisket and a smorgasbord of Southern sides—I can vouch for the cobbler and the red slaw and admit to stealing a couple envious glances at a neighbor’s sweet potato crunch. Then it was off to Sidtracked Brewery. Their 5 Barrel system chugs and choos over a dozen whistle-wetting beers like Cross-tie Brown, Light Rail Blond and Thomas the Dank Engine New England IPA. Did some locomotive artwork ogling and brushed up on my Lantern Signals while sampling a flight of delicious brews. They’ve also got the pub sports: ping-pong in the back and there’s darts to fling too. As it started to get dark we sauntered over to Cawtaba Brewing Co. to knock back a couple White Zombie’s and catch a cover band. 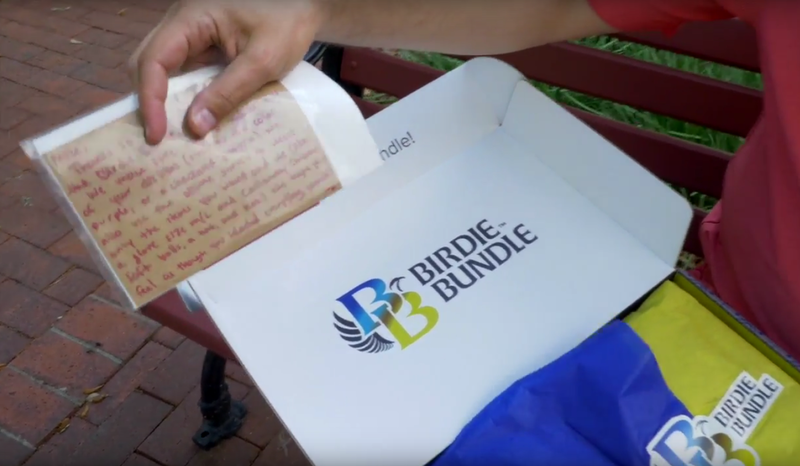 Birdie Bundle takes customization a step further than any other golf sub and gift box on the market. In addition to logging customers style preferences, a common best practice, they also account for dislikes. 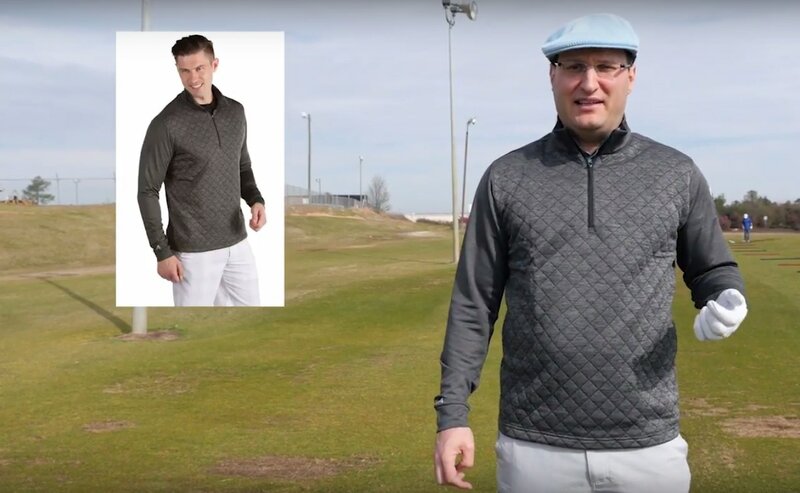 Wouldn't be caught dead off the first tee wearing a checked or paisley polo? No problemo, Birdie Bundle will screen them out when they hook you up. The surprise factor is still intact they just do their due diligence to avoid unhappy surprises. 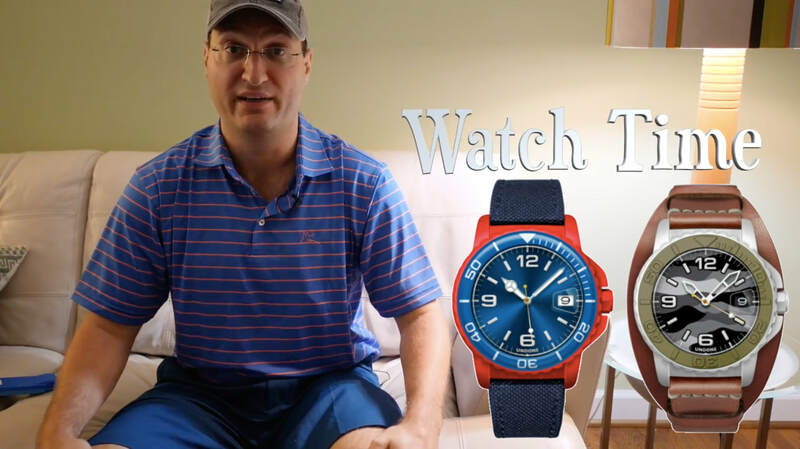 We sneak a peek inside a Birdie Bundle down on Daufuski Island, South Carolina's southernmost inhabited island and give you the goods in the below video which is queued right up to the unboxing portion of the video. 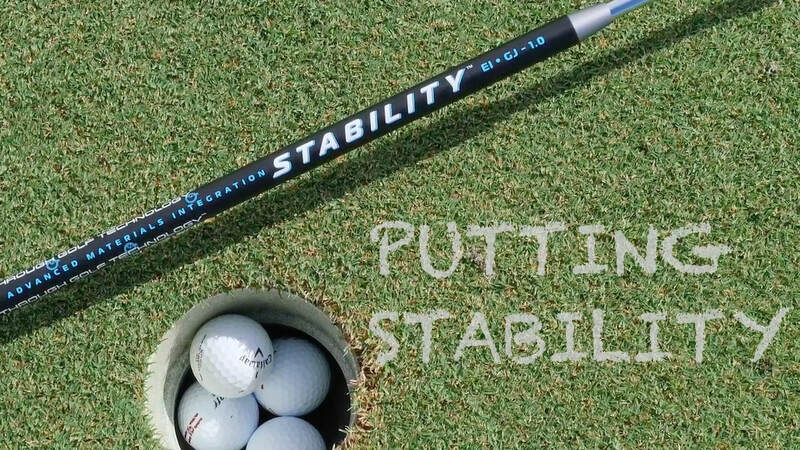 Being calm and having smooth consistent energy is very important in the game of golf. 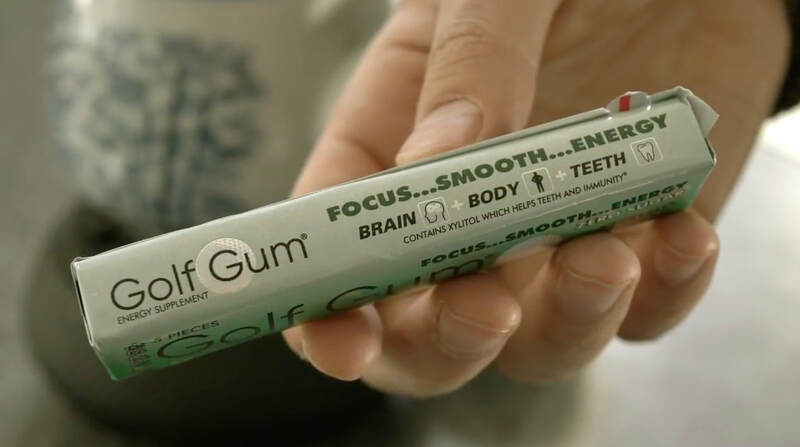 We put a spearmint flavored elixir called "Golf Gum" to the ultimate test to see if it will bolster cognitive function. Warning: If you have a pet squirrel, python, or hamster, keep them away from this product. Golf Gum is for human consumption only. If you're playing golf with your labradoodle and you drop a piece and he takes a bite, quickly grab him and wrestle the gum out of his jaws because it could have real dire consequences for pets. Pregnant women and children should also not chew golf gum. 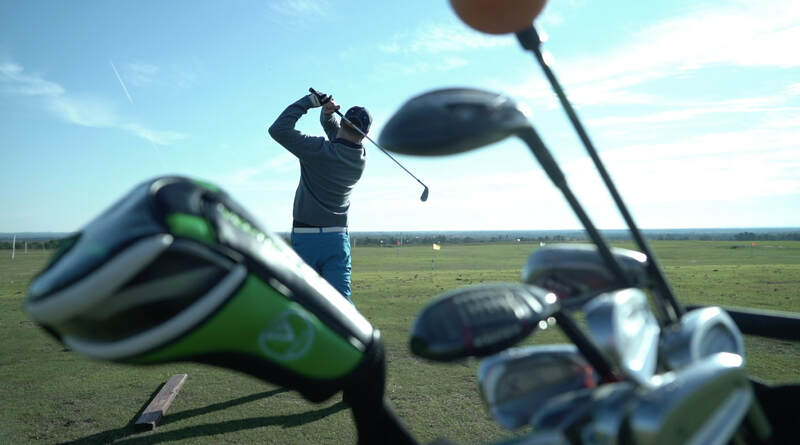 If you start playing exceptionally while chewing Golf Gum, do not proceed to then put another piece of golf gum in your mouth every couple holes because golf gum is mega strong. It's not recommended to chew more than two pieces of gum within a ten hour period so no more than one piece per round. 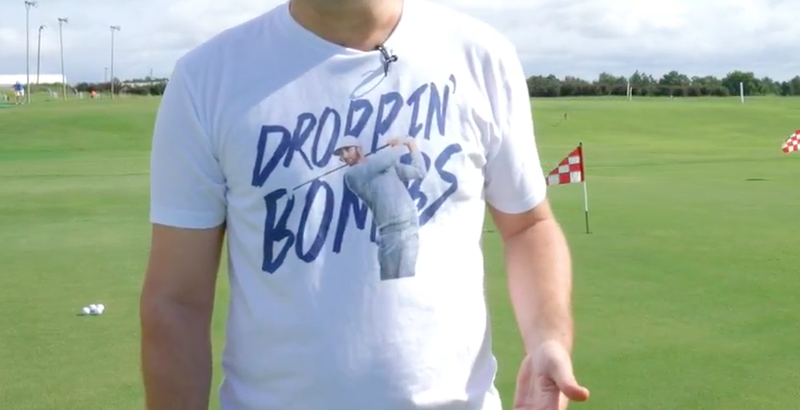 Now that we got that out of the way, lets chew some Golf Gum in the below vid. Played in the Battle of the Smokies this past weekend at Etowah Valley Golf Club and got a lot of complements on my Asher glove. 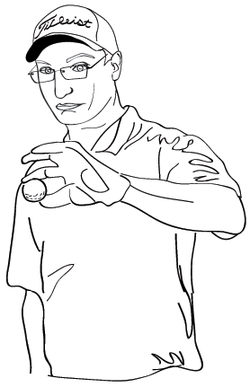 The Death Grip which also comes in white has been around for a few years but always turns heads in the tee box. 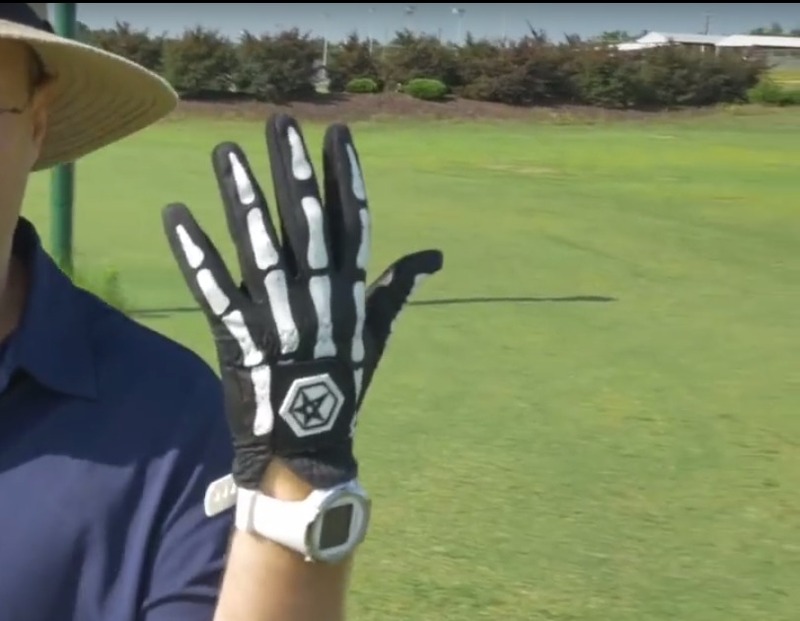 Alice Cooper has been known to rock the glove on courses.